Want something impressive to bake this holiday season? 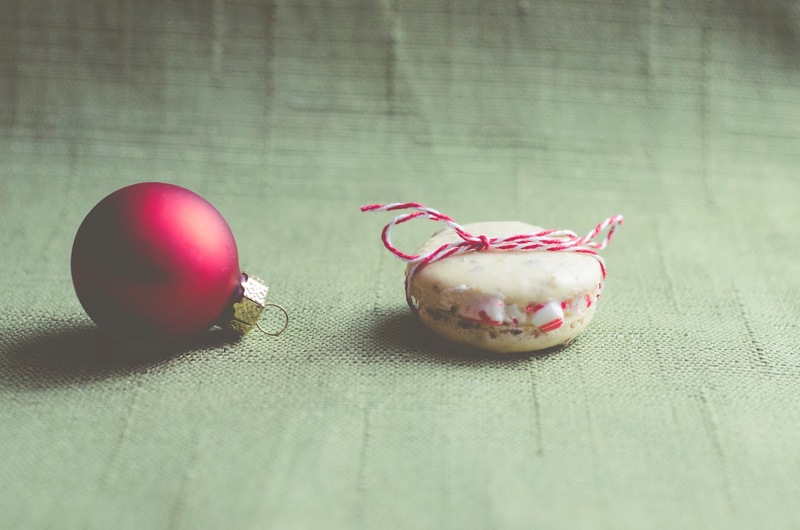 Skip the trite sugar cookies and kiss cookies, and try the French macaron. 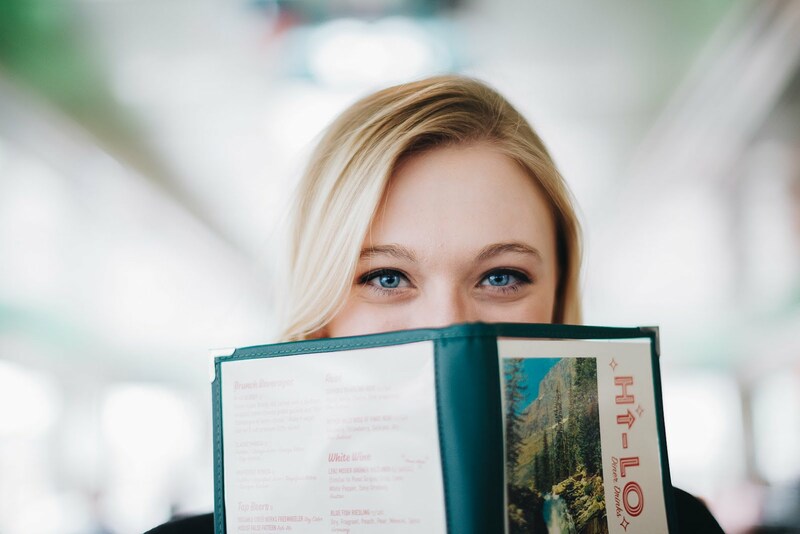 They can be made in a variety of flavors, from egg nog to candy cane! 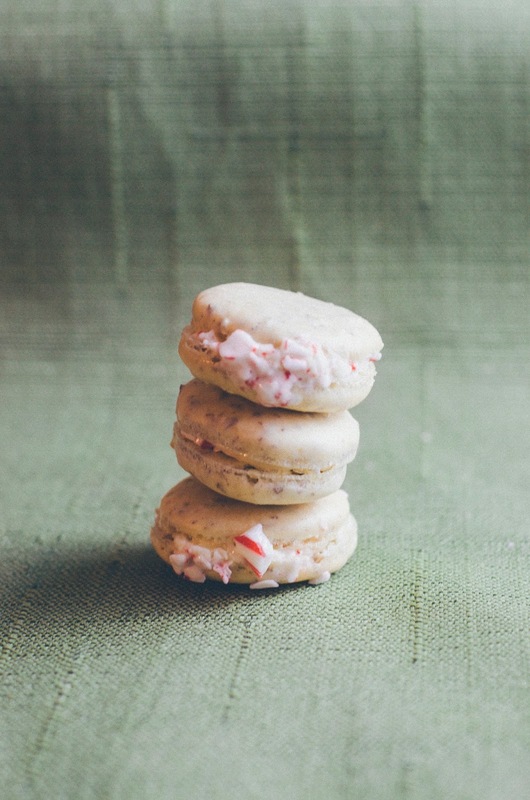 This week I'm sharing one of my favorites: candy cane macarons. Now, these cookies do have an air of difficulty about them. However, this shouldn't stop the beginner baker. My first few times making these cookies were a disaster, and was eventually scraped, however, I've picked up on a few tricks to help you out! Trust me, people will love these unique cookies for Christmas, or any other occasion! To make the macaron shells, combine the confectioners’ sugar and almonds in a food processor. Pulse until the almonds are finely ground and the mixture is well blended. In the bowl of a mixer fitted with the whisk attachment, beat the egg whites on medium speed until foamy. Increase the speed to medium-high and continue to beat, gradually adding the granulated sugar. Beat until a stiff, glossy meringue forms (do not over-beat). Line baking sheets with parchment paper. Fit a pastry bag with a plain round tip and pipe small rounds onto the prepared baking sheets, about 1½ inches in diameter, by holding the bag perfectly perpendicular to the counter and smoothly giving pressure without moving the tip. Let the piped rounds sit at room temperature for 30-60 minutes to get "skins" on the tops of the cookies. Preheat the oven to 280˚ F. Bake for 20 minutes. Let cool 15-20 minutes before removing from the baking sheet. (Do not touch while cooling.) Let cool completely before filling. Put the sugar and egg whites in a large heatproof bowl over a saucepan of simmering water and whisk constantly, keeping the mixture over the heat, until it feels hot to the touch, about 3 minutes. The sugar should be dissolved, and the mixture will look like marshmallow cream. Pour the mixture into the bowl of a stand mixer fitted with the whisk attachment and beat the meringue on medium speed until it cools and forms a thick shiny meringue, about 5 minutes. Switch to the paddle attachment and add the butter, one tablespoon at a time, beating until smooth. Once all the butter is in, beat in the butter cream on medium-high speed until it is thick and very smooth, 6-10 minutes. Divided the butter cream in two portions. 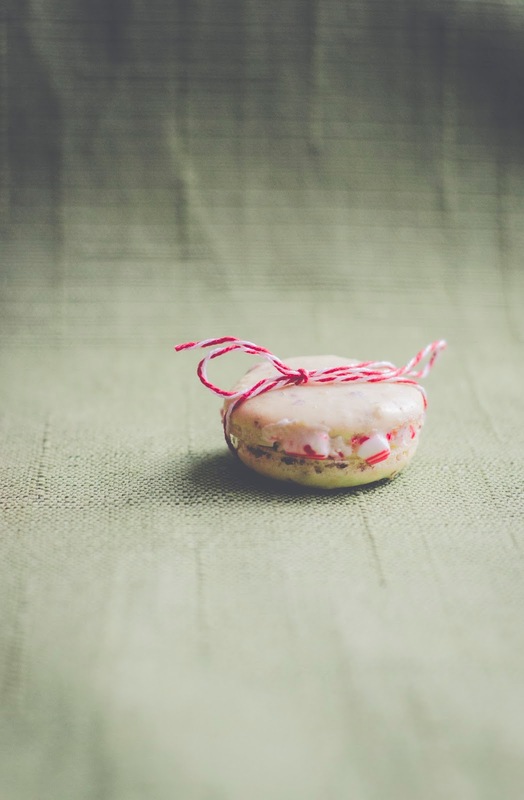 Stay tuned for more macaron recipies, as I'm looking forward to making some more!